AUTOIMMUNE DISORDERS such as Lupus, Sjogren & Sicca Syndrome, Multiple Sclerosis, etc. 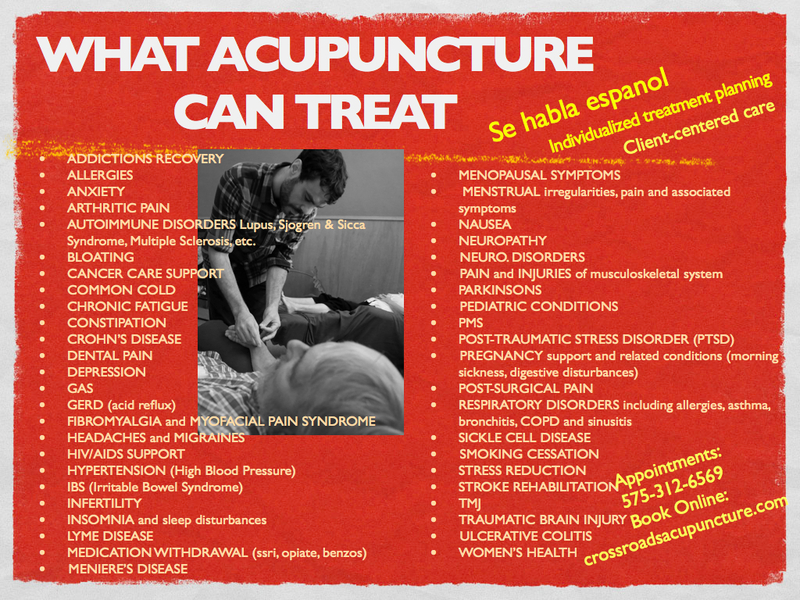 Click here to view the complete list of conditions for which acupuncture has been proven to be effective, as compiled by the World Health Organization. Si ofrecemos la auriculoterapia para $5. Para programar una cita llamanos 575-312-6569.